When a city endures a period of time, such as Boston has over the past week, one that features murder trials, death penalty discussions, firings and emotional remembrances of lives lost or deeply effected, the issue of perspective becomes significantly more complicated. It makes me wonder if taking the time to discuss how a team’s season is going is appropriate or does it in fact, just pale too much in comparison to be worthwhile. I have come to the conclusion that because all these events had their origins in the athletic fabric of this community, that talking sports at this time is not only appropriate but necessary. 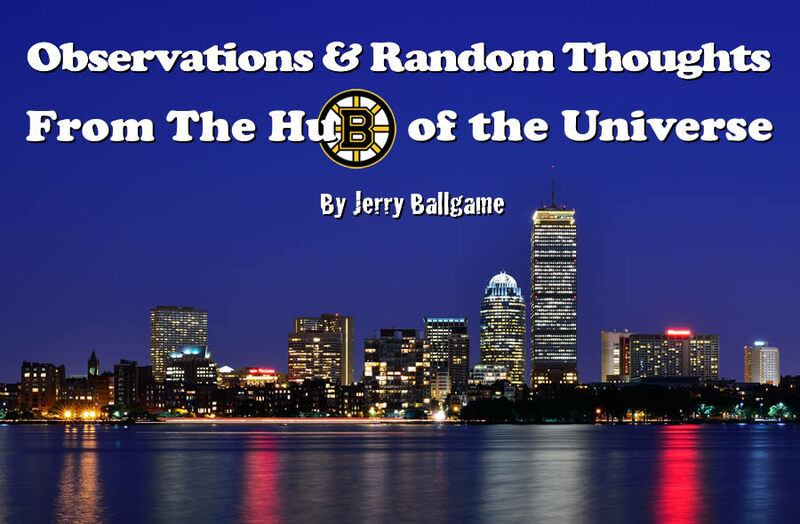 So if you don’t mind, I’ll take a quick look at the past week in Boston sports, as well as how, in some cases, they have been impacted by those events. As I sit down to write this, the Sox sit at the top of the Al East, having won two out of three against the Phillies, Yankees, and Nationals. 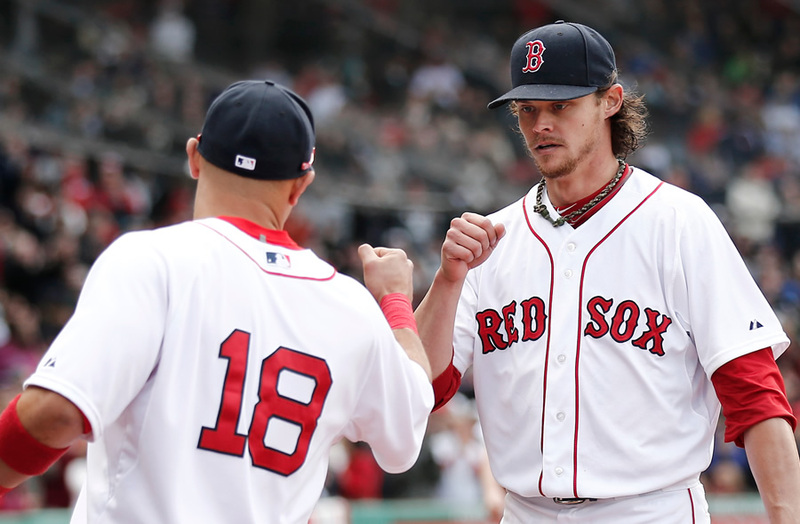 Despite their early success, very real concerns still surround their starting staff as Clay Buchholz, Justin Masterson and Wade Miley all struggled in their second appearances. I’m not sure which one bothers me the most, Buchholz or Miley, as the former is supposed to be the ace, the latter, an eater of innings, but neither performed anywhere near expectation. Interestingly enough, Cole Hamels has also struggled in his first two starts, leaving one to wonder if he might not be losing value for the Phillies, who may well have overplayed their hand. But anyway, and at the risk of repeating myself, I still have to wonder when the Sox are going to make some kind of move to strengthen their rotation. There is the growing sense here that they blew it by not signing free agent James Shields, who has looked strong in his two starts with San Diego, when they had the chance. On Wednesday, April 15, the Sox recognized the two year anniversary of the Marathon bombing by having survivors of that day throw out the first pitch. At 2;49 PM, they, along with most of Boston, remembered those lost with a moment of silence. 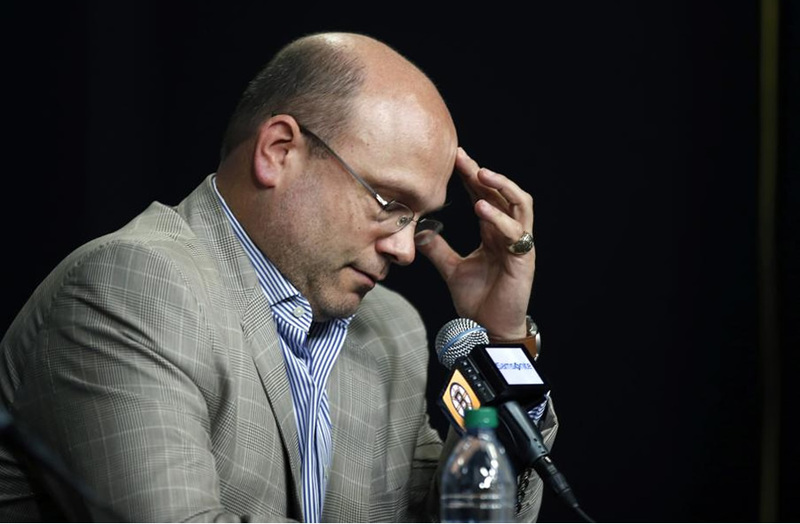 Wednesday was a very heavy day in other ways locally, as it was also the day that the guilty verdict was announced in the Aaron Hernandez murder case, as well as the day the Bruins chose to fire its long time general manager Peter Chiarelli. I don’t mean to equate the dismissing of a sports executive with the other life shattering events, but most other days, this is a relatively big story. The debate in these parts still rages on as to whether or not the best strategy for the Green was to “tank it” in hopes of improving their draft position, or actually making the push to claim a playoff spot was the way to go. No one believes that the Celtics will get by Lebron James and the Cleveland Cavaliers, or for that matter, even win a game. With the playoffs starting in Cleveland this Sunday, the 19th, they could easily be done by the following Sunday, also known as a four game sweep. But there are two things that everyone seems to be agreeing on, one being that the C’s were definitely sparked by the arrival of guard Isaiah Thomas, and the other that Brad Stevens did a nice job of coaching. 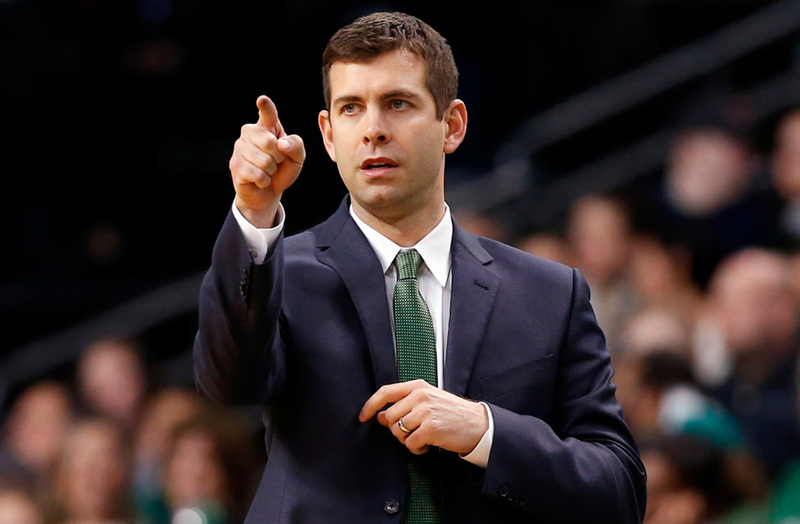 There was a growing concern that the frustrated Stevens was considering a return to the college coaching ranks, so a chance to show his stuff in the playoffs is looked at as a real positive; as is the future of the Celtics with Thomas at the controls. Given that building through the lottery is far from guaranteed, maybe this is as good a way to rebuild as any. I sure hope so.